South Korea in the 1970s, the war is almost over for twenty years, but there is still a large US Military presence in a country developing rapidly. George Sueno and Ernie Bascom work for the Military Police of the US 8th Army, mostly trawling the bars of Itaewon, the red-light district frequented by US military personnel, and trying to keep the thriving black market of military supplies in check. When Pak Ok-Suk, a young Korean woman is found brutally murdered in her apartment, the gaze of suspicion falls upon her young GI boyfriend. Under pressure to wrap the case up quickly, the man is arrested and handed over to the Korean police. Sueno and Bascom, however, are not convinced of the man’s guilt, and despite warnings to drop the case, continue to investigate, placing themselves in ever more danger. 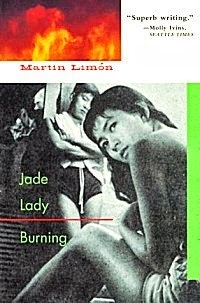 The interesting thing about Jade Lady Burning is Limon populates the story with unlikeable people doing unlikeable things in unlikeable places and yet has produced a very likeable tale. Sueno and Bascom are rough around the edges military police officers who drink too much, party with prostitutes in Itaewon, the red-light district of Seoul, and turn a blind-eye to some black market activity. The tale works well for three reasons. First, Limon tells the story at face value: he doesn’t romanticise or idealise or sanitize the Itaewon underworld, nor does he portray Sueno and Bascom as likeable rogues. Instead, the tale is told with gritty realism. Second, the story is well contextualised with respect to Korean society after the war and the relationship with the US military and its operations. Third, there is a compelling plot - the investigation into the death of a young Korean woman and the arrest of a young GI - which builds to a nice denouement. Overall, an engaging and entertaining slice of social realism. I admit I'm not usually a fan of "social realism", but your review of this has me thinking I'll hunt it up. Thanks very much for this review, Rob. I enjoyed reading your review. I read this book several years ago. I think the first sentence in the 2nd paragraph describes it perfectly ("unlikeable people doing unlikeable things". I felt a lot of distaste for the situation and the characters throughout, but overall I enjoyed the book. 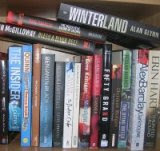 And I have purchased several more in the series to read.